Spring hasn't quite sprung but I am noticing little signs, here in Christchurch at least, of buds preparing to bursts and weeds beginning increase in number and size on paths and in flower beds. This is the time to get into the garden and prepare it for the new season. Many plants such as roses, camellias, fruit trees etc. are vulnerable to fungal diseases as their sap begins to rise again. Clean up dead leaves and twigs which could harbour disease. Remove moss, mould and slime from paths, drives, fences walls and the bark of trees with NO Moss Mould Mildew. Paint, stain and seal fences, trellis and walls while climbing plants are dormant. Consider pruning to give the tree a good shape where the tree gets good light throughout and fruit is evenly distributed and easily collected. Remove excess or weak twiggy growth. Apples, pears and cherries grow on spurs (short stubby growths coming from main branches) and these will continue to produce fruit for several years. Spray the trees with preventative fungicide such as NO Fungus Super Sulphur or Copper Oxychloride. Carry out a similar tidy up of plum trees but take care not to over prune as this will promote vigorous growth at the expense of fruit production. Flowers and fruit are produced on the new growth of the previous summer. Prune hard to encourage new growth to prevent fruit being produced too far out along branches. But don’t remove too many flower buds or the current season’s crop will be reduced. Flower buds are round and plump while growth buds are flat. Spray with NO Weeds Long Term to kill emerging weed and prevent germination of seeds. 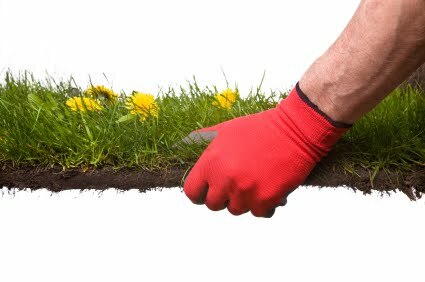 Condition and prepare flowerbeds containing established plants, shrubs and trees by digging over, adding organic material and fertiliser and then use Ronstar SG to long term prevention of germination of weed seeds and bulbs. Weeds emerging from areas where planting is to be done now or later in the season can be sprayed with soil safe herbicide such as Buster. As lawns begin to grow the broadleaved weeds can be controlled by the use of selective weedkillers such as NO Lawn Weeds Turfclean and NO Hydrocotyl. 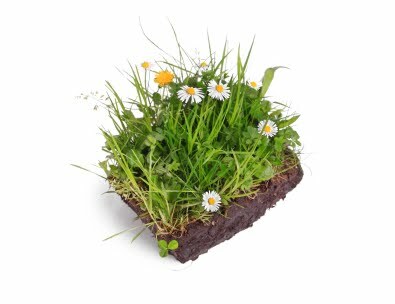 Moss in lawns should be treated with NO Moss concentrate or granules and then the dead moss scarified (raked out). As new growth starts in spring the plants will need good, easily accessed nutrients. Kiwicare Organic Fertiliser is ideal for drenching the roots of plants of all sorts so that they get the most healthy growth and resistance to disease. Spring is also a good time to make sure your garden equipment is working and cleaned. 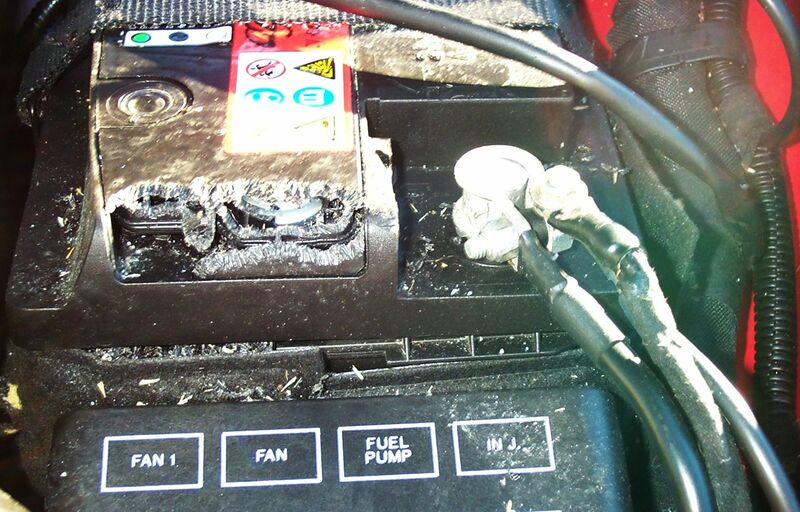 So check the lawnmower, get it services, sharpen blades and check oil levels. Clean, sharpen and oil secateurs, clippers and other cutting implements. Even cleaning forks and spades will help remove any disease spores that may have overwintered. Look forward to Spring and Summer in your garden. Be prepared by putting a little effort in now. Why do potatoes make good lookouts? My expertise is mostly in the field of animal pests. If it has legs it will generally have some idea how to get rid of it or keep it away. I have however, been getting more involved in the control of pest plants (weeds). 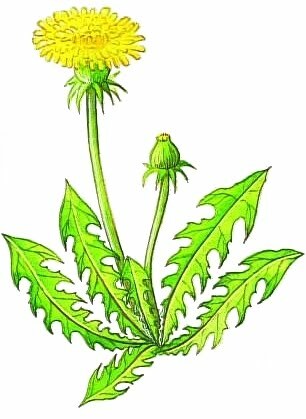 Not just weeds in the garden which are nuisance and make the garden look untidy or compete with the flowers I have planted, but weeds in the environment. Invasive weeds brought into New Zealand and which compete with native plants; things like boneseed, broom, gorse, old man's beard, wilding pines, ........sadly the list is extraordinarily long. I am a member of the Canterbury Branch of the NZBI and we have become involved in a project to eradicate weeds from the coast around Taylor's Mistake near Sumner. The project was started and has been run almost single handily by Keith Briden of DOC who lives int he area. He and the local Weedbusters have cleared much of the boneseed, broom and other weeds from the headlands from Nicholson Park to Godley Head. The NZBI got involved a couple of years ago and together we successfully applied for funding to plant natives. I have spent a few weekends helping remove weeds and plant natives. Keith rewards the volunteers with a beer and some of the results of his fishing/hunting. We are hoping the weather will stay good enough to plant another 1600 native seedlings this weekend. Should you wish to join us and help you can contact me or Keith (kbriden@doc.govt.nz) for details. Kiwicare has recently donated $1,000 worth of herbicides, fertilisers and possum bait as prizes for the annual Weedbusters Awards. The winners will come from the many community projects around the country dedicated to eradicating pest plants and rejuvenating native habitats for the benefit of all New Zealanders. I am ever impressed by the dedication and effort of so many volunteer groups around New Zealand. What a great country. Yesterday was the last day of the New Zealand Biosecurity Institute (NZBI) annual conference, held this year in Blenheim. NETS, as it is known, is a get together of the country's biosecuirty experts and interested parties in order to pass on developments and discuss the way forward in the protection of New Zealand's natural habitats. The conference brought together people from MAF Biosecurity, Regional and Local Councils, Iwi, DOC, farmers, conservation groups, CRI's, industry, universities, Fish & Game, Weedbusters, and others. The theme of NETS2010 was "Know How, Can Do, Job Done." Over the three days of the conference we heard about biosecurity issues in Australia and South Africa and how New Zealand expertise is helping in those countries. We heard about the threats to New Zealand's natural habitats from potential and existing invasive pests such as rats, stoats, rabbits, Argentine Ants, willow, Undaria, Nassella tussock and more. We heard about the pests, the challenges in control and eradication, the development of new tools and new ways to use existing tools, and success stories such as the eradication of the Southern Saltmarsh Mosquito. Kiwicare was proud to sponsor part of the conference and to take part in the workshops with a demonstration of gel technologies and how they can be used to improve tools for the control of invasive pests. Kiwicare gel products include, long life possum bait, ant gel, insect repellents and barriers, gel herbicides and others. It only rained once during the conference.................for three days! As part of the conference two field trips were organised; one to Blumine Island in Marlborough Sounds and one to farms in South Marlborough. Despite the weather those of us going on the trip up the sounds enjoyed the trip and were rewarded with seeing at first hand the results of the pest eradication program on Blumine. The island has quickly developed a dense natural bush supporting a myriad of native birds including saddlebacks and robins. The robins hopped around our feet searching for disturbed insects and worms as we tramped along the muddy paths. 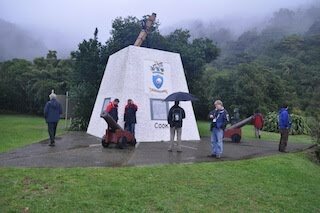 We also stopped at historic Ship Cove where Captain Cook anchored on his voyages of discovery. I can see why he choose such a place to return to on each of his voyages to New Zealand. It has has an inviting mystical feel, even in the mist and drizzle that accompanied out visit. I am already looking forward to next years NETS to be held in Auckland from the 16th July 2011. I hope you will come along and join us there. I will be posting the abstracts and photographs from NETS2010 o the NZBI website over the next couple of weeks, so if you want to learn more about the presentations at NETS2010 you will find more information there soon. Thank you the hard working organisers of this years NETS, you knew how, you could do and you got the job very well done. A thread was started yesterday on 'Humane killing of rats?' This reminded me of a couple of incidents I have had when faced with the problem of catching live rats or mice and what to do with them. Here is one. 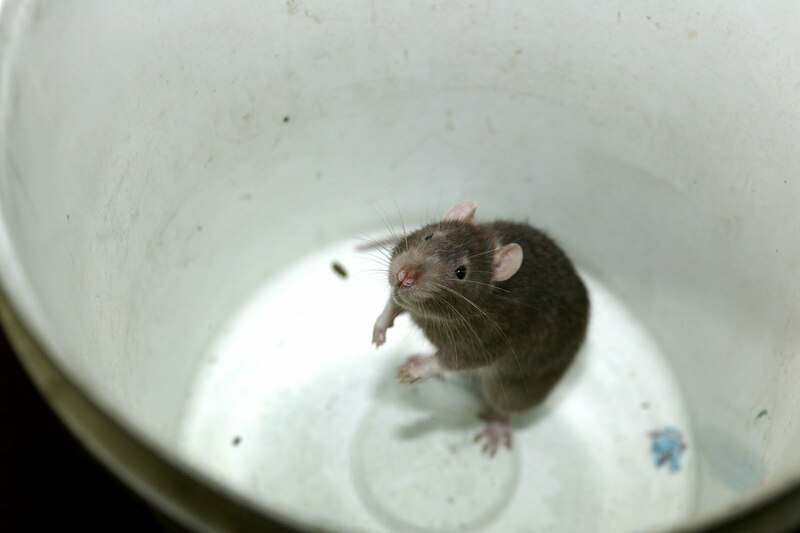 Shortly after I arrived in New Zealand about six years ago, and while working for a pest control service company, I got a call from a distressed home owner who claimed she had trapped a rat in her kitchen. Her house was not far from where I was so I donned my armour, mounted my white steed, and went to the rescue. Normally in these situations I have found the rodent has escaped by the time of my arrival. So I was expecting the same again. The lady stood on a chair in the sitting room while I, trousers tucked down socks, entered the kitchen and began my search armed with a bucket. I had opened all the cupboards, pulled out the fridge and almost exhausted the possible hiding places. The last places to look where the drawers. As I pulled out the last drawer I was content to find it empty too. Then I looked underneath and behind. In the shadows the rat looked back, it's whiskers quivering. "Ummm?" What to do now? The home owner was watching my every move through the glass serving hatch. How was I going to look cool? There was noting for it but to pull the drawer out, flush the rat and try and catch it. Bucket at the ready, I slid the drawer out, the rat leaped across the kitchen floor and I dived headlong like a scrum half's dive pass. No one was as surprised as I that I managed to trap the rat under the bucket first try........not even the rat. I felt great satisfaction. Then it dawned on me I was going to have to remove the rat and deal with it in a humane manner. I slipped a piece of cardboard under the bucket and deftly upturned it, keeping the rat trapped. To 'applause' from the home owner I took the rat out to my Ute where I knew I had a hammer. A swift knock to the head is the recommended humane method to kill a rat in this situation. However, it is easier said than done. Thankfully out of sight of the home owner, I opened the lid of the bucket with hammer at the ready. With leather gloves as protection the plan was to grab the rat, hold its head steady and inflict the fatal blow. The rat had other plans. It made a leap for freedom as soon as the lid was partially off. The second scrum half's dive was not so successful. Off it leaped across the road and down a drain before I hit the ground. Sheepishly I returned to the house and told the home owner that the rat 'would not be seen again.' This slight of the tongue reassured the lady. But I left her only after giving her house the 'once over' for possible entry points and sealing several up. In the Lifestyle Block forum there are several methods of dispatching rats discussed; drowning, gassing, shooting and the hammer. 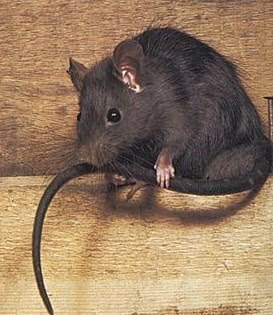 The difficulties in dispatching a rat trapped by a live capture trap suggest to me at least, that snap traps are the best and (usually) most humane method of catching rats and mice if baits are not an option. In another blog I will tell you the story of the Mars Bar Mice. Why do some experiments use lawyers instead of lab rats? Because there are more of them, there are some things even rats won’t do, and the experimenters prove less likely to become emotionally attached to lawyers than rats. After spending two days last week on a Red Cross First Aid course I now feel qualified to deal with the most severe paper cuts or perhaps cuts and scrapes in the garden. The course was very good and something I have always thought I should do. I have been lucky enough never to have come across an accident where any first aid was needed. But there has always been the fear in the back of my head that it could happen at any time and I would not know how to give appropriate help. I hope my luck continues, but if I do come across an accident at least now I feel I could be of some use. I would recommend the first aid course to anyone and everyone, it might be me that has the accident and need your help. In the garden it is nearly time to think about doing some tidying up and killing or stopping the development of those early weeds. Kiwicare produces a comprehensive range of herbicides for the control of weeds in all situations. The NO Weeds range includes selective weedkiller and non-selective weedkillers. The selective weed killers include NO Weeds Turfclean, NO Moss in Lawns and NO Hydrocotyl for selective control of weeds and moss in lawns. To prevent the growth of new weeds there are the options of NO Weeds Ronstar SG and NO Weeds Longterm liquid which kills weeds and prevents germination of weed seeds for an extended period. For general soil safe weed control there is NO Weeds Buster and NO Weeds Glyphosate. Buster is a better product in that it is active against a broader range of weed species. "I am going to plant lettuce in the back garden. When is the best time to plant them?" "Darling, whatever you do, DO NOT do any planting in the back garden!" "On Friday the police came with spades and picks, and dug up the whole back garden." "Darling, NOW is the best time to plant the lettuce!" I was in Mitre10 Mega yesterday picking up some things for my bathroom and went along to the Garden and Pest Control isle to check out the Kiwicare products; as I often do. A lady was examining rodenticide bait on the shelves. I introduced myself and asked if I could be of help. She related a story of how she was hearing mice scurrying and gnawing in the walls of her house. She had used traps and caught some but the noise was continuing. She was particularly worried about possible damage to the wiring in her house as her neighbour had just had to pay an electrician $1,500 for repairing damage to wiring caused by mice. 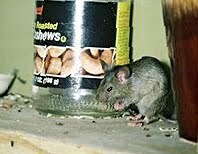 I was able to advise her to use Kiwicare NO Rats & Mice Bait Blocks in several safe places around the home such as the roof voids, garage, under kitchen cupboards, hot water tank and sub-floor. I told her the story of a house I was called to recently where neither of the cars in the garage would start when the owners returned after a couple of weeks away. When we opened the bonnet of the Alpha Romeo it was found that rats had made 'minced meat' of the wiring and plastic cover of the engine. The Toyota had been similarly attacked and on a full inspection of the house I found that the rats had gained entry to the home via the integral garage and had destroyed the pump for the spa bath. Much of the physical damage caused by rodents results from the fact that their incisor teeth are continually growing and they must gnaw to keep them sharp and worn down. They gnaw not just food, but objects that bar their way such as joists, beams, walls and doors. They also gnaw things that seem to give them ‘pleasure’ in gnawing, including plastics such as cables, with consequences of electrical failure and shorting, and pipes with consequences of flooding and water damage. Also rats and mice carry disease. 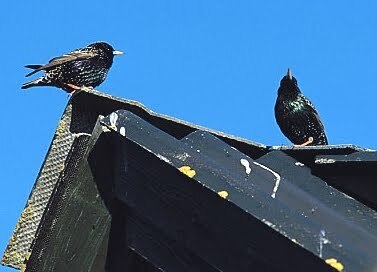 Their habits of continually dribbling urine, leaving droppings wherever they go, and travelling from sewers and compost heaps onto fruit and vegetables in the garden and, if they gain access to the house, onto kitchen surfaces and food, mean that there is a risk of infection and food poisoning where rodents are present. So don’t underestimate the risks involved in rats and mice being in your home. Luckily there are simple and effective ways to get rid of infestations and keep them away. For advice on getting rid of rats and mice and keeping them away go to Kiwicare.co.nz or contact Kiwicare on 03 3890778. How do you know a smart rat? He's the one in the maze with a GPS. It has been such a busy week at Kiwicare. I wrote a press release about the ongoing interest in cockroaches and how to get rid of them that has seen unusually high sales of cockroach control products and searches for information on how to get rid of cockroaches on the Kiwicare website. This caught the imagination of several media organizations including the Nelson Mail. The Mail made the connection with the weather conditions and the 'plague' of rats that they have been experiencing in that region. I was also asked by the reporter Laura Basham what the next 'big thing' will be. I was able to tell her that bed bugs are the problem that will continue to grow as a problem in New Zealand, particularly in the accommodation industry. New Zealand is catching up on the rest of the world as bed bugs as carried into the country and transported around it by travelers in their luggage and clothing. The Mail ran the article and the bed bug issue was picked up by RadioNZ National and our Neil Martin was interviewed on Jim Mora's Afternoon Show. 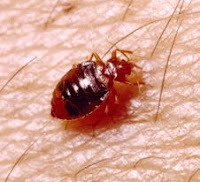 If you suspect you have brought bed bugs into your home you can check out how to find the bugs and how to deal with them at the Kiwicare Bed Bug page. A bed bug walks into a bar and coughs to get the barman's attention. The barman turns and says "I'd heard there was a nasty bug going around." Winter is the time to prune and protect your roses in preparation for getting the best display from them this summer. First spray your roses with NO Fungus Super Sulphur. This is a curative and preventative fungucide that will help reduce the risk of infecting your roses when it comes to the pruning operation. NO Fungus Super Sulphur is BioGro certified organic; it has no offencive odours has no withholding period, can be used all year round and is suitable for use on: Roses, Fruit trees, Citrus, Vines and Ornamentals. Prune your roses about 1 week after treating with Super Sulphur. Pruning your roses encourages new growth, removes old woody stems that would be prone to disease and lets you shape your roses for the best display. Hybrid Tea and Floribunda roses benefit most from pruning but all roses should be checked over and dead or diseased stems removed. Use a clean and sharp pair of pruning shears. Do not leave a ragged stem end which would be prone to infection. Cut just above an outward-facing bud to encourage the plant to grow into an open shape. If the cut is too far above a shoot the stem above the bud will die back and there is an increased risk of disease. Slope cuts away from the bud, allowing rainwater run off away from the bud. About 1 week after the prunning, spray the roses with NO Insects Super Spraying Oil. God made rainy days so the gardeners can get the housework done.